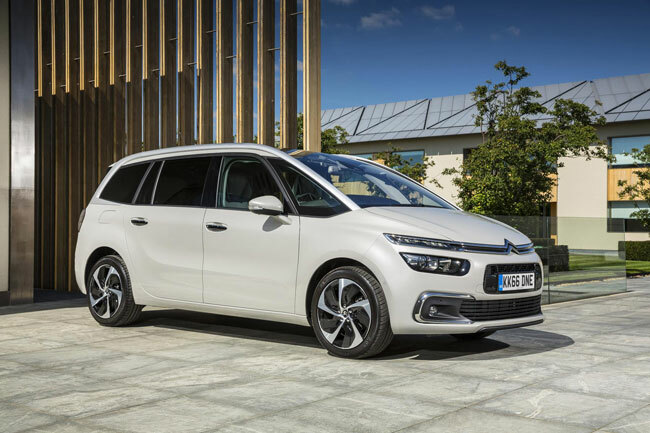 According to Citroen Ireland, their top-selling MPV range, the Citroen C4 Picasso, is bringing even more style and comfort to the MPV segment with the launch of new trim level offerings. Just in time for 181, Citroen says that it has enhanced the trim levels available on its C4 Picasso and Grand C4 Picasso models, offering its most popular extras, under two streamlined levels – the entry level ‘Touch’, and the new Feel Exclusive. In addition, Citroen is introducing the award-winning PureTech 130 engine to the new ‘Feel Exclusive’ grade, in manual and automatic versions in response to what it says was customer demand, which has seen the a certain trend shifting towards petrol sales. The high spec-ed entry level ‘Touch’ trim, from €29,995, now offers additional extras of privacy glass and height adjustable passenger seats. The ’Feel Exclusive’, starting from €32,820, offers an additional €1,600 worth of added extras compared with the outgoing ‘Feel’ grade with extra highlights including; half-leather trim, massage front seats, electric power tailgate and electric reclining front leg rests. According to Citroen Ireland, these extra equipment offerings on ‘Touch’ and ‘Feel Exclusive’ comes with no additional cost to the customer, increasing the appeal of this multi award winning family car. It adds that for added comfort and safety, the optional ‘Techno Pack’ is introduced on the ‘Feel Exclusive’ trim level, at €1,650, which provides all the ‘Feel Exclusive’ trim has to offer, plus keyless access and safety features; including lane keeping assist, speed limit information, smart beam and drive attention alert. Citroen also reminds us that the C4 Picasso family-friendly range brings a 5 star Euro NCAP rating, 3-years’ roadside assistance, and now for added peace of mind, a new 5-year unlimited mileage warranty. Citroen Ireland has announced that they are now offering customers 5 years unlimited mileage warranty on all passenger vehicles. Citroen Ireland says that the 5-year unlimited mileage warranty is exclusive to Citroen customers in Ireland and offers complete peace of mind and reinforces that your local authorized Citroen dealership is the best place to purchase a new vehicle.